Description: The St. Moritz pattern beautifully replicates the rustic appeal of a twelve-inch ceramic paver with a colorwashed effect. It's a versatile flooring look one might as easily find in a thirteenth century Italian bell tower town as in the grand kitchen of a country estate. 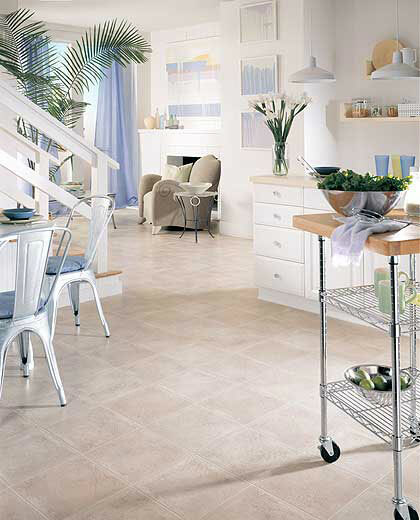 The timeworn, gracefully-aged charm of St. Moritz is a warm look that works well for a range of home decorating themes.